Adverbs are to verbs as adjectives are to nouns: They modify action words. However, they can also support other parts of speech, such as adjectives and other adverbs, as well as clauses and even entire sentences. When writers want to add to detail in the form of answers to questions such as “Who?” “When?” and “Where?” (as well as “how much?”), they reach for adverbs. Most adverbs end in –ly, but note that some adjectives do, too. You can tell the difference by the root word: Seriously (from serious) is an adverb, but timely (from time) is an adjective. Others end in the related forms –ways (such as sideways) and –wise (like otherwise) or consist of nouns preceded by a- (akin, for example). Others, known as comparative and superlative adverbs, end respectively in -er or -est (for instance, faster and fastest). Adverbs, like adjectives, have gotten a bad rap for their cluttering qualities. They are ever so useful, and so applicable and adaptable that writers often employ them mindlessly and indiscriminately. But which of the three adverbs in the preceding phrase (not only mindlessly and indiscriminately but also often) must I mercilessly vaporize with the Delete key? 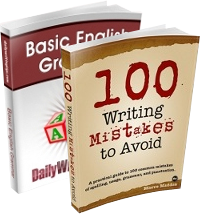 Don’t hesitate to apply one or more adverbs within a sentence if they serve a purpose, but do hesitate before you cast them among your prose with Brysonian abandon. Bill Bryson, the exhaustively (and exhaustingly) amusing author of The Mother Tongue: English & How It Got That Way and other books on language, as well as volumes on history, science, and more, never met an adverb he didn’t like, but he’s earned the right to break the rules. Admonishments to avoid adverbs (and adjectives) are often misconstrued: They are not to be avoided, but they are best not employed merely to prop up weak nouns and listless sentences. A topic near and dear to my heart, Mark! The central problem I have with adverbs is that writers use them to modify weak or innacurate verbs, rather than using a better action verb. That, and the fact that they are overused in general. 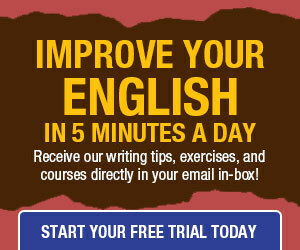 In most cases, the adverbs can be removed by using the correct action verb. Consider this sentence. “‘… in these days of socially-conscious language, the only possible ‘correct’ choice among the given options is ‘themselves’ –not in terms of subject/verb agreement, of course, but in terms of ‘non-exclusive language. '” An editor once employed this reasoning on me. I edited the piece to have plural subject-verb agreement. He objected, saying I changed the meaning. I changed the language to “she,” “her” and “herself.” The editor kicked he piece back to me, saying the usage was drawing too much attention to itself. I changed it to the “one” construction, and the editor objected to the stilted wording. I changed it to “co,” “cos” and “coself,” and the editor said I was crazy. I reverted the wording to the generic “he,” and the editor relented, saying it was the called the least attention to itself — my point exactly.